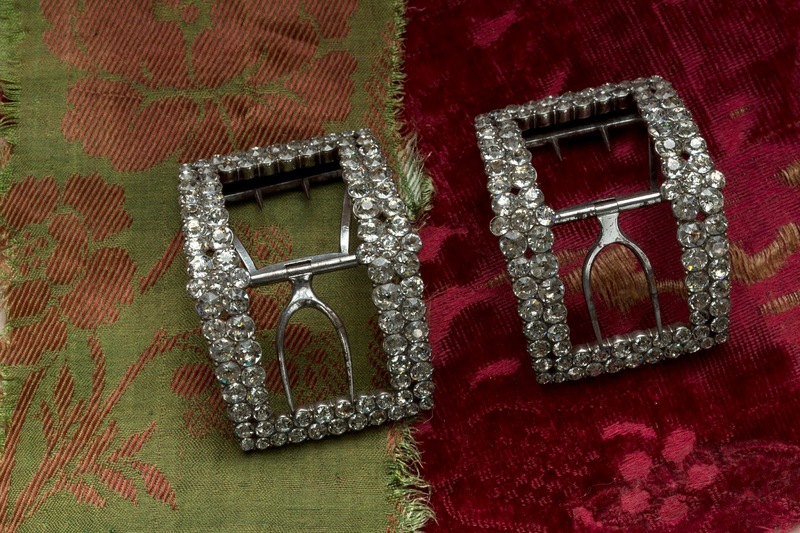 Mid 18th century paste stone and silver shoe buckles, French or English. Private Collection. Behind me in the pit sat a young fop who continually put his foot on my bench in order to show off the flashy stone buckles on his shoes; if I didn’t make way for his precious buckles he put his foot on my coat-tails. Luster, shine, sheen. 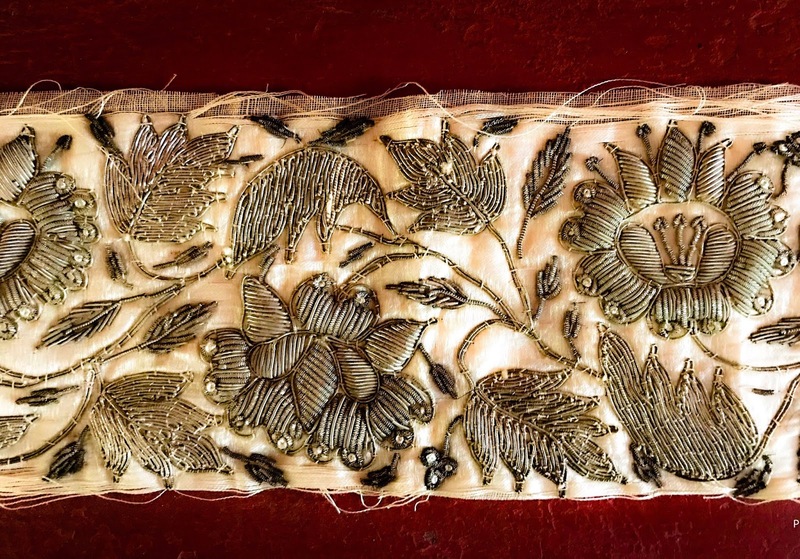 Creating highly polished surfaces, adorning oneself with glittering metallic lace, silver or gold threads, or sparkling jewels were part of the visual lexicon of the eighteenth-century. 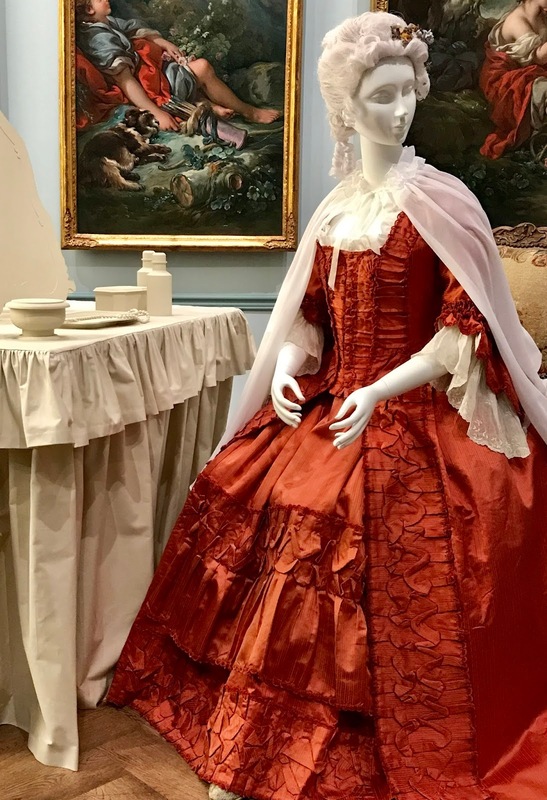 Baroque then Rococo styles dominated European art, architecture, and fashion, introducing a taste for dramatic, theatrical movement and the interplay of light and shadow. As global trade expanded, new materials and ideas from foreign ports became more accessible. 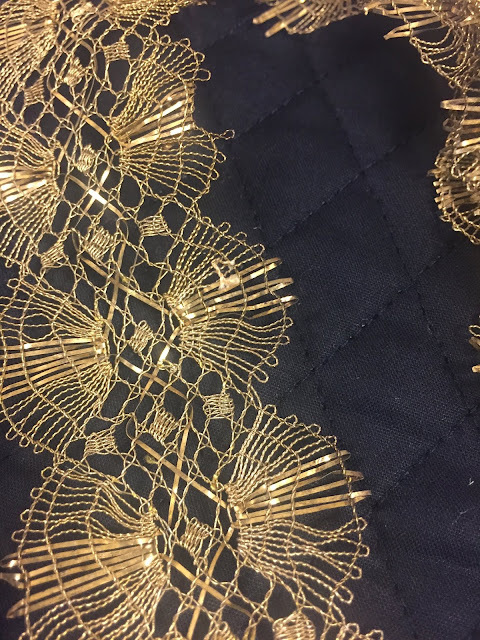 Designers and artisans experimented with bold palettes, active patterns, undulating lines, and S-curves. 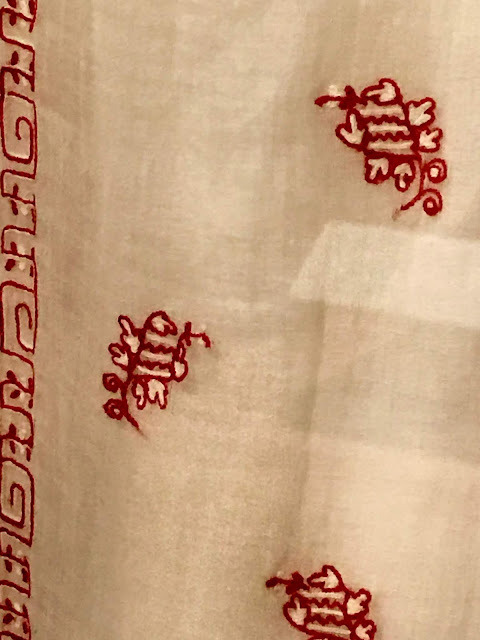 The naturalistic motifs found in rich brocades and silks were not limited to interior furnishings and textiles, but permeated all aspects of elite dress. 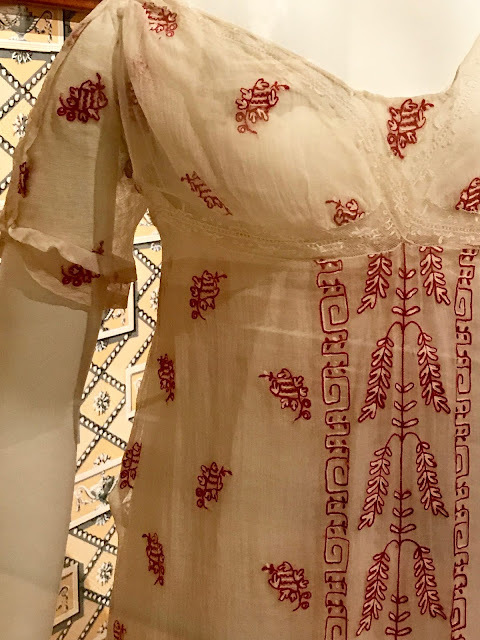 Elite consumers could draw upon Chinese, English, and French silks, metallic threads, and trim (then known as lace), elaborate passementerie (decorative trims including tassels, floss fringe, and so on) and the softest of Spanish and Moroccan leathers. [i]Carl Moritz, at a London theater, from Journeys of a German in London in 1782, in Richard B. Schwartz, Daily Life in Johnson’s London(Madison: University of Wisconsin Press, 1983), 171. [ii]Extravagant examples, such as sapphire- and diamond-laden shoe buckles dating from the mid-eighteenth century, were recently exhibited at the Victoria & Albert Museum in the exhibition “Pleasure and Pain” (2015). For additional information on buckles as a fashion and economic statement, see Riello, A Foot in the Past, 75-82. [iii]For more on metallic thread, see Garside, Paul (2012). 'Gold and silver metal thread', in: Gale Owen-Crocker, Elizabeth Coatsworth and Maria Hayward (eds.). 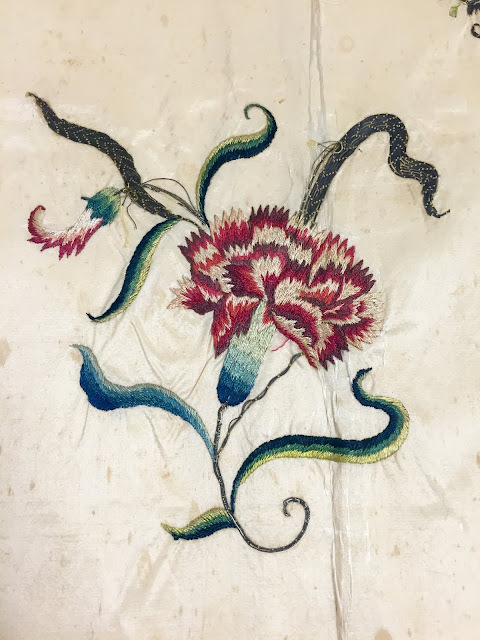 Encyclopedia of Medieval Dress and Textiles of the British Isles, c. 450-1450, Brill: Leiden, pp. 237-239; Marsh, Gail (2006). 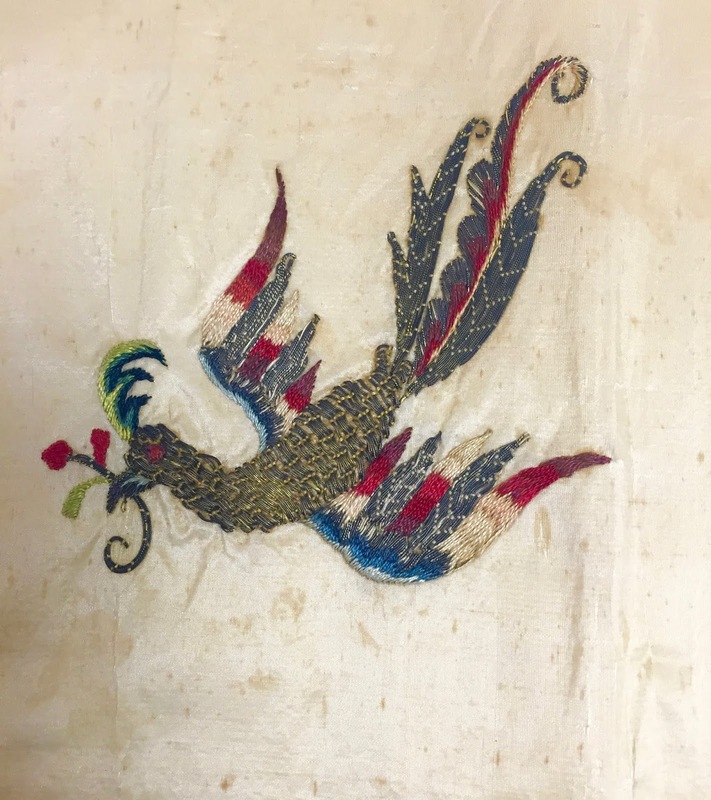 18th Century Embroidery Techniques, Lewes: Guild of Master Craftsman Publications. Paperback edition 2012, pp. 38-69. 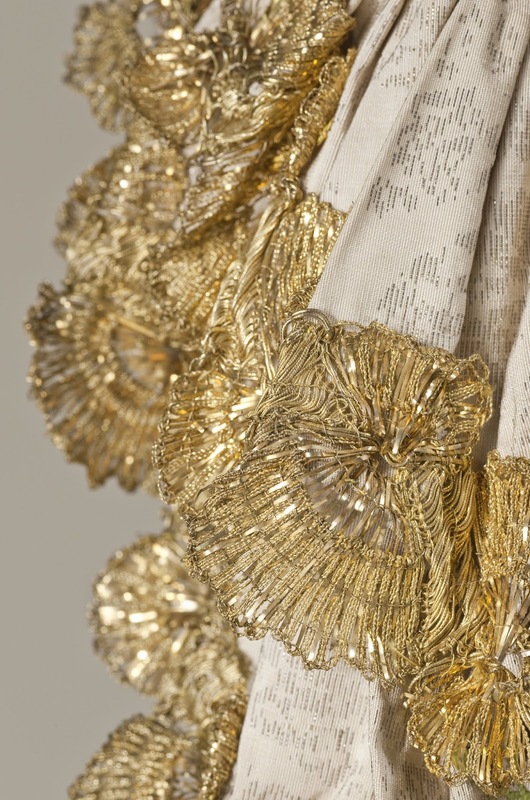 For an example of the use of gold metallic lace on a woman's dress, see a Robe à la française (or sack back) with petticoat(English or French, 1760-65)from the Los Angeles County Museum of Art: https://collections.lacma.org/node/231561 - see images above. 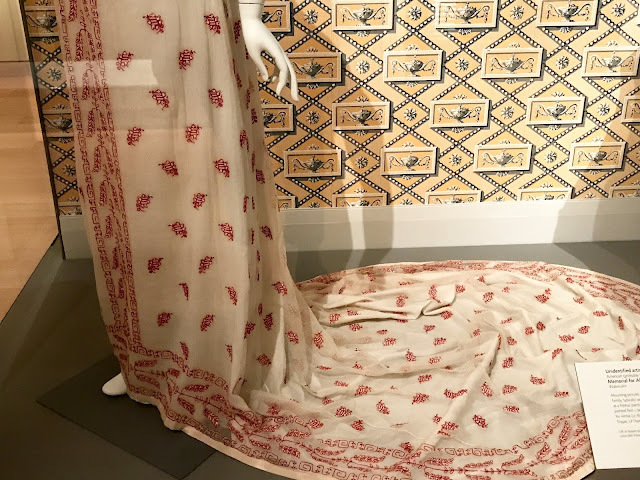 While they are visually arresting in published photos (as seen in the image above, courtesy of the Bata Shoe Museum; all other photos by author), seeing them up close was a very different experience. 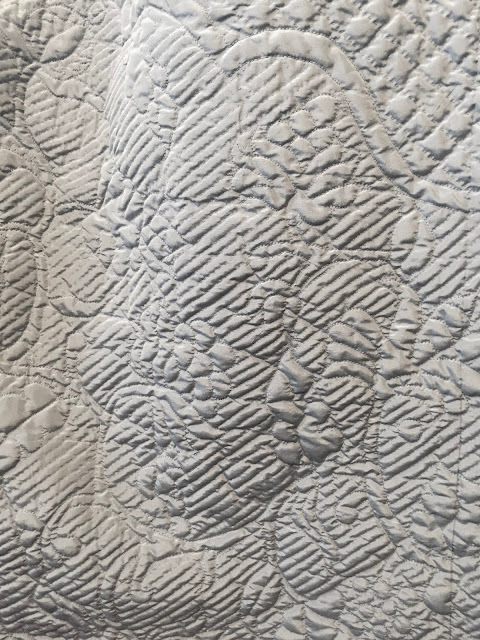 The level of artisanry, the luxury of the materials and the whimsy found in the overall design, is exceptional. 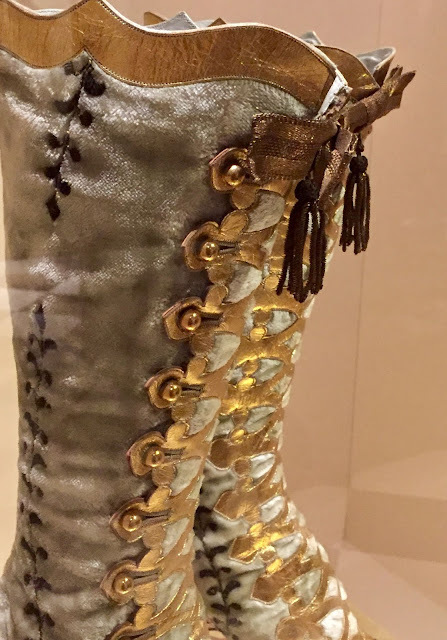 As noted by the Museum curator, Elizabeth Semmelhack, the gold kid leather appliqué and velvet are 'erotically charged' and they resemble a stockinged leg. Even a glimpse beneath a skirt would have been tantalizing. 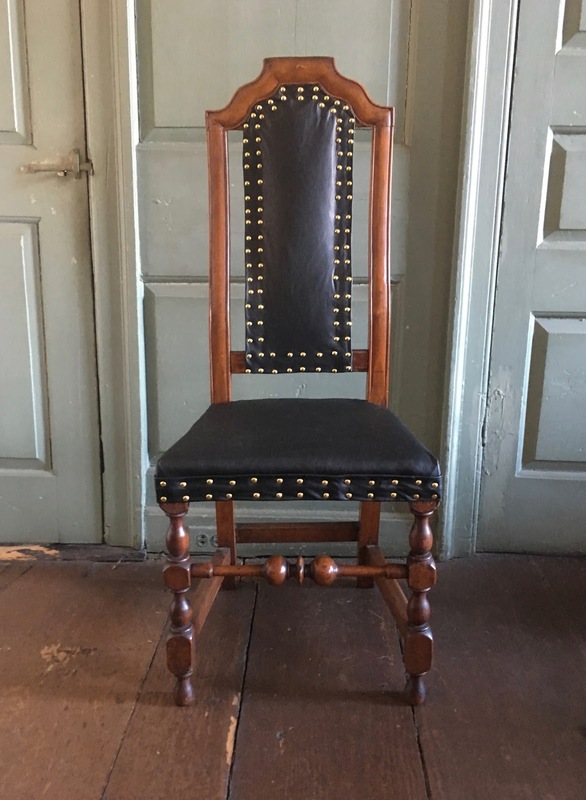 They are most likely of Swedish or German make, from c.1890s. 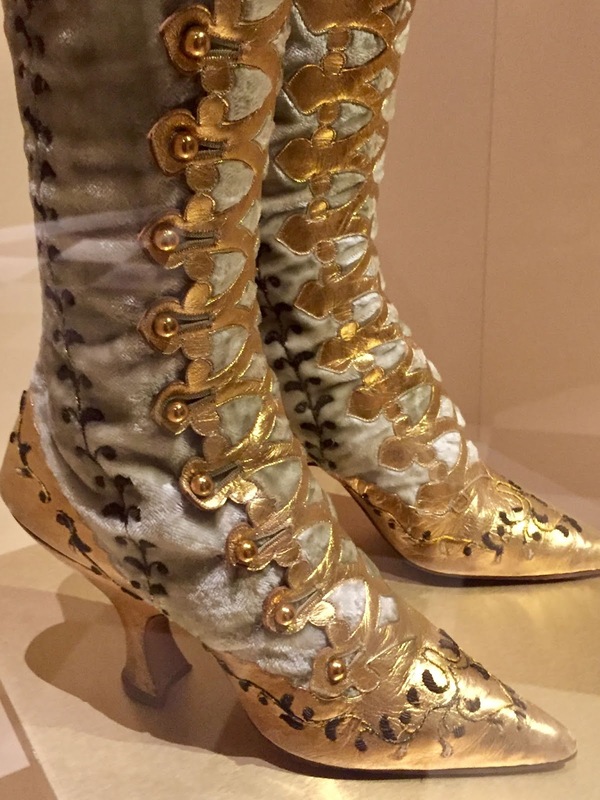 These bespoke boots may have been commissioned by a specific client or perhaps more likely, as a ‘show off’ piece meant for display at an Exposition. In any event, they are truly stunning. Enjoy the photos I captured during my visit. 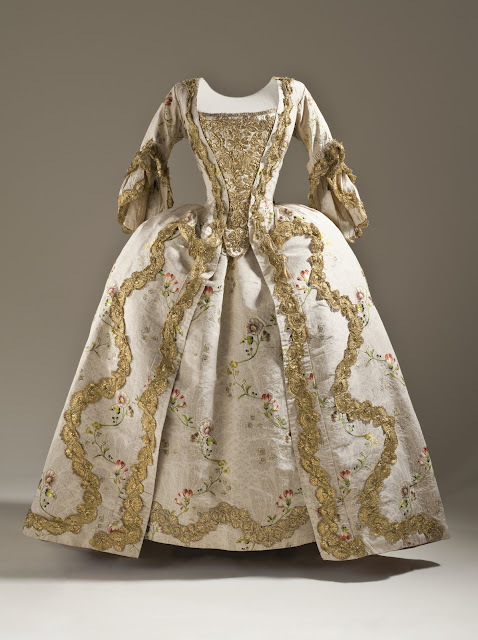 Now closed, I was fortunate to tour the Casanova exhibition at the Museum of Fine Arts, Boston this summer. 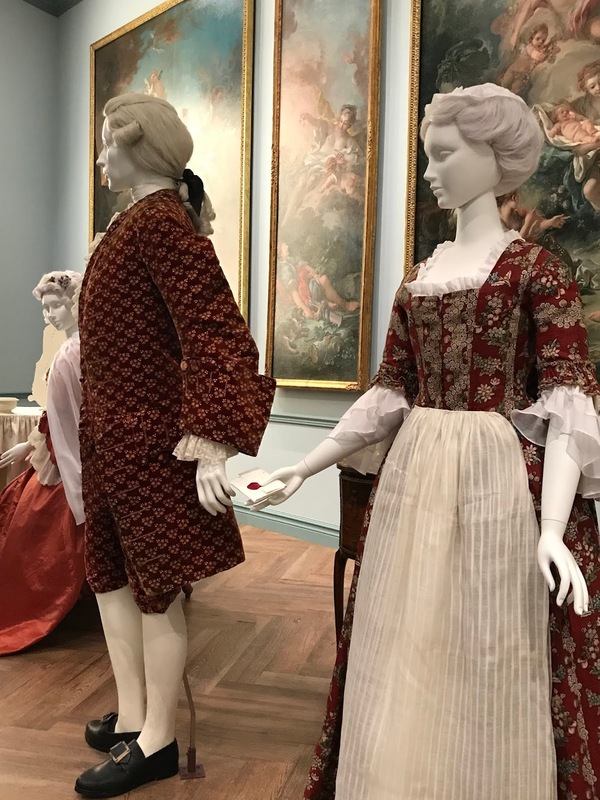 It was a lavish and bold exhibition; a feast for the senses—as one might imagine for one with the appetites (many quite unsavory) of Casanova and the 18thcentury world he traversed. 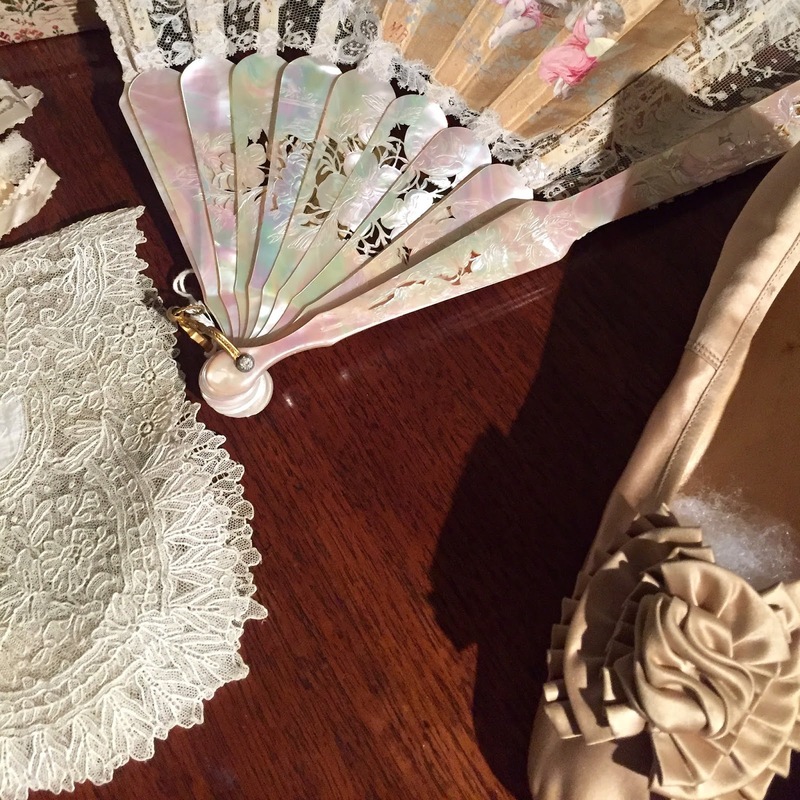 One of the entrancing tableaux was of an elite woman’s morning ritual – her toilette. 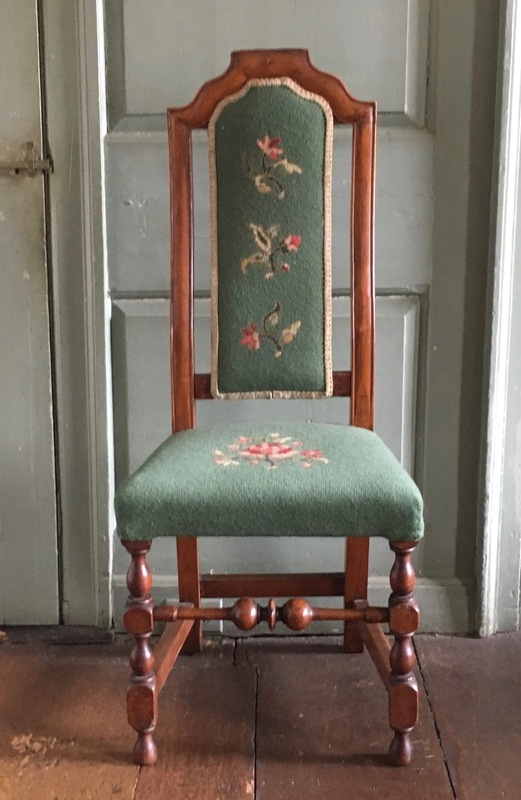 Seated at her dressing table, there are shenanigans occurring behind her, presumably between her husband and ladies maid, passing a letter between them. 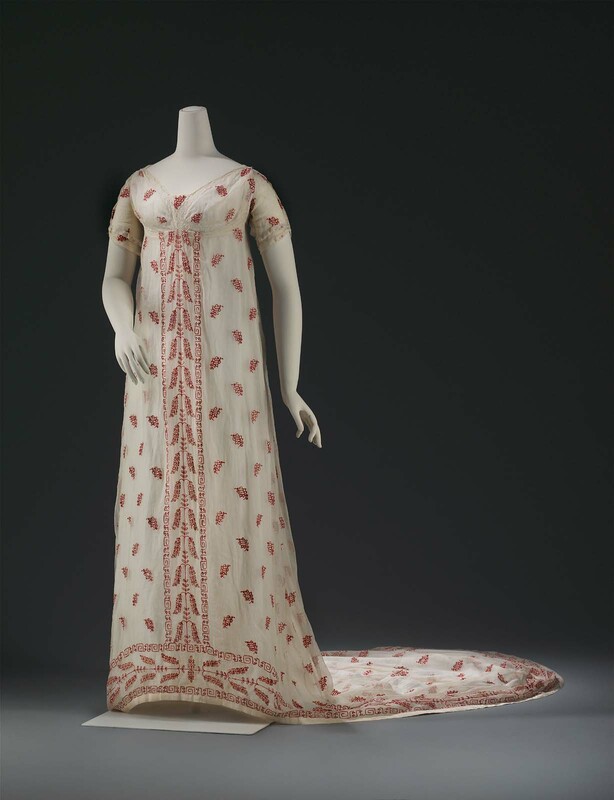 This formal dress, c. 1800-1805, of white cotton gauze, features small floral sprays across the textile. It is detailed with a border design “composed of vine and a modified Greek fret worked in a chain stitch with fine red and white wool.” This is a classic example of what is known as the Regency, Empire or Neoclassical style which began in the last decade of the 18thcentury (post-American and French Revolutions) and continued to inspire women’s fashions into the 1820s, and in some places, beyond. A dress like this would not have been out of place in the first quarter of 19thcentury in Boston. 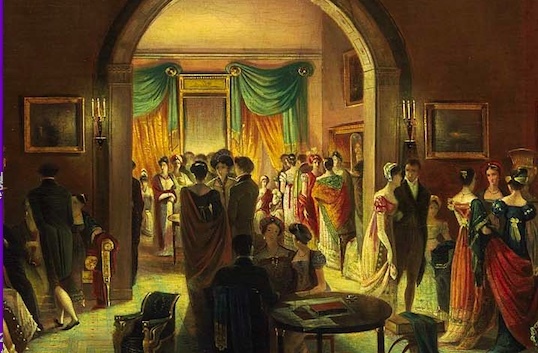 By the time of Henry Sargent’s painting of The Tea Party(c.1824) showing the elegant attire of the age – although clad in long columnar dress, with shawls and hats of every variety, we begin to see additions of pouf sleeves, decorated hems, fancy trimmings altering the silhouette and profile. The setting for this elegant gathering was none other than Boston’s Beacon Hill, and is a companion piece to his masculine habitués detailed in The Dinner Party. 1. For additional information on Sargent’s painting, see Jane C. Nylander, “Henry Sargent’s Dinner Party and Tea Party,” Magazine Antiques, May 1982. Looks can be deceiving. 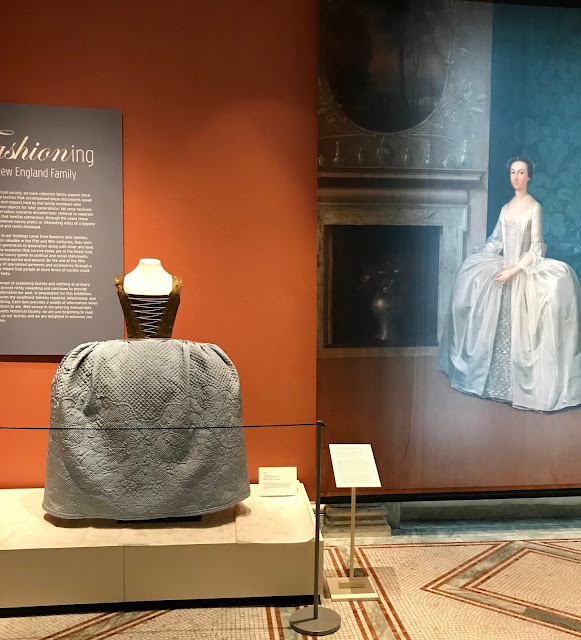 Here, what at first glance seems to be a lovely eighteenth-century petticoat, is actually a brand-new reproduction, commissioned for an exciting new exhibit—“Fashioning the New England Family”—now open at the Massachusetts Historical Society in Boston. (masshist.org) As the guest curator, it has been a delight to have had this opportunity to work with so many talented individuals over the last three years of research, planning, and design. The MHS has become a second home. 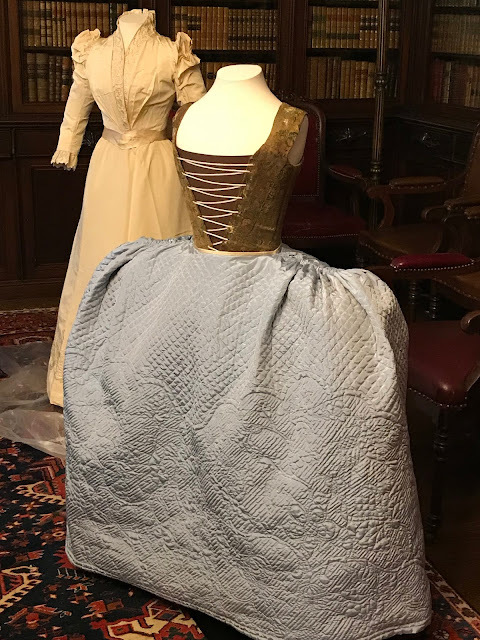 This pale blue, silk taffeta, quilted petticoat was reproduced by the team of Janea Whitacre and Christina Johnson, aided by Rebecca Starkins and Sarah Woodyard. 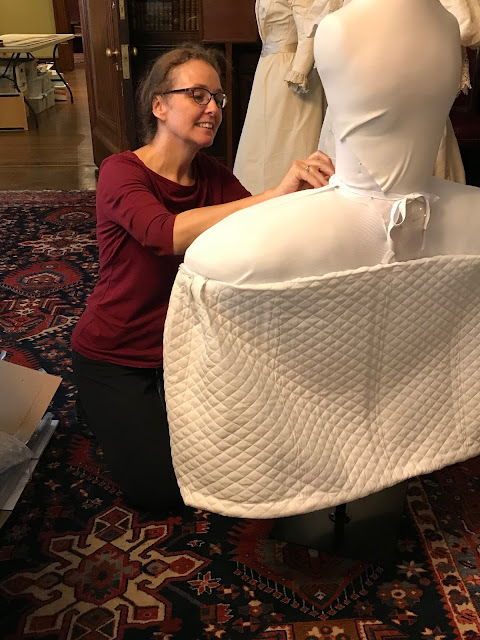 They make up the Historic Trades and Skills Milliners and Mantua-makers of The Colonial Williamsburg Foundation (ColonialWilliamsburg.com 2018). 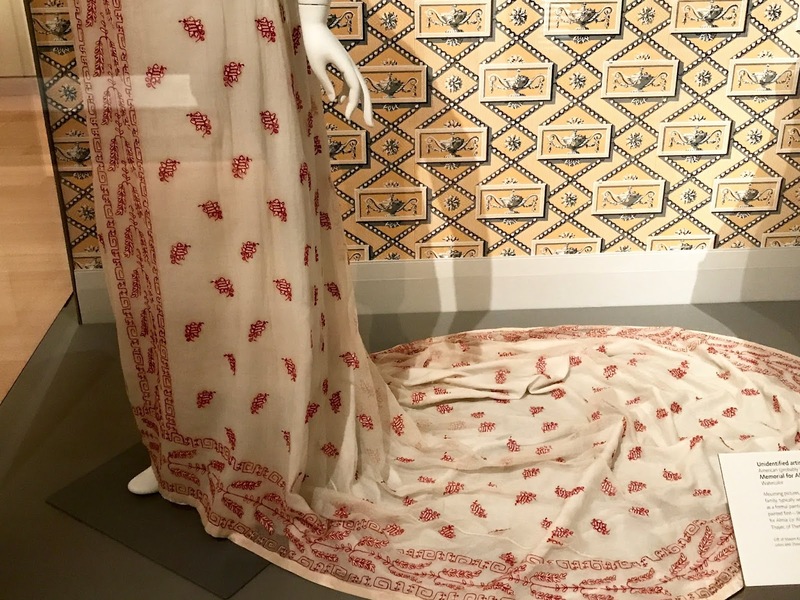 Working from a pattern in the collection of the Massachusetts Historical Society, given by Alice (Scott) Brown Knight Smith in 1953, they created an exemplary garment that bridges the past and present. The new quilted petticoat has its roots in a story that stretches back to the late seventeenth century. 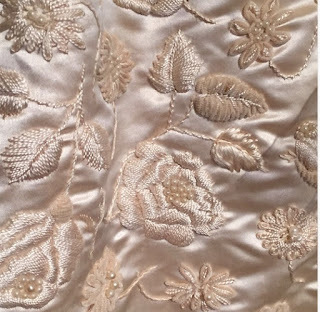 In 1953 the Society received a traced (or pricked) pattern of the quilting design of a petticoat, said by the donor to have been bought in Holland by Sir John Leverett for his first wife, Hannah Hudson. 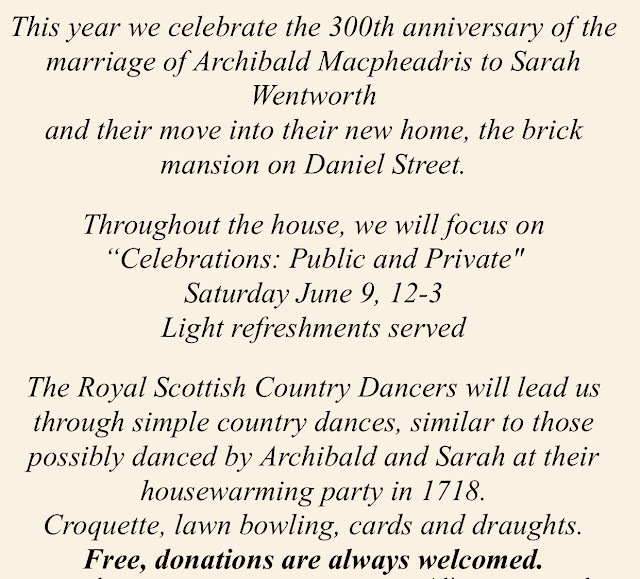 The original petticoat came to the donor’s husband, Hannah’s descendant through her only surviving child. 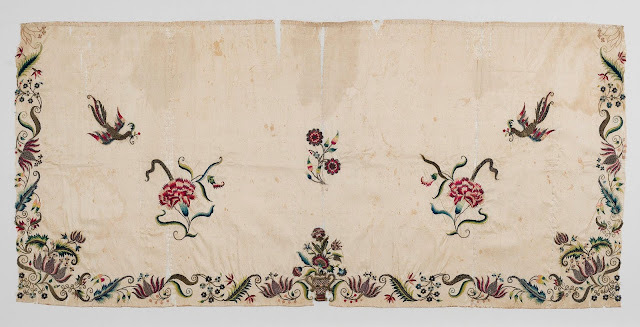 The pattern was first pricked onto paper from the petticoat by the donor in 1896. 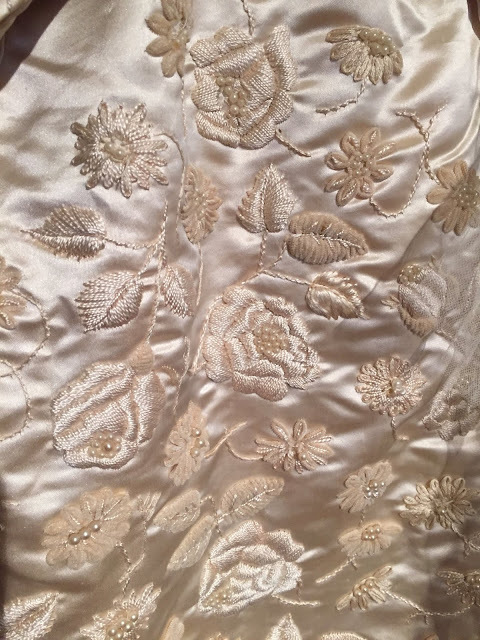 After the original petticoat burned in the aftermath of San Francisco’s 1906 earthquake she transferred the pattern to a piece of muslin to give to the Society. 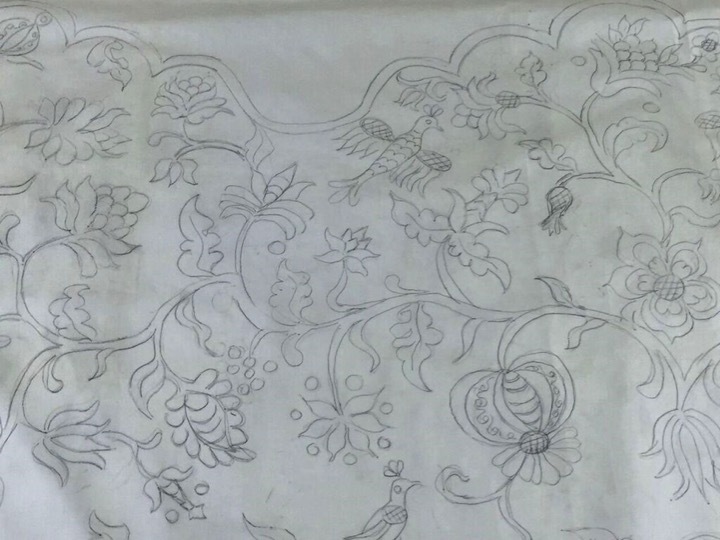 We were able to use her tracing to commission the mantua makers of Colonial Williamsburg to recreate this quilt pattern for display. 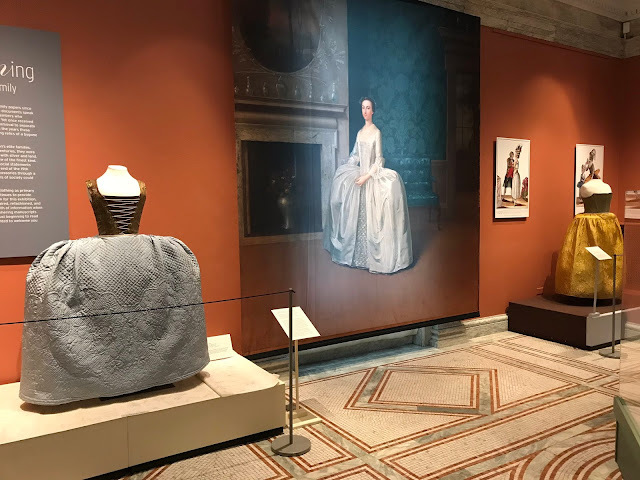 The opportunity to take the flat pattern and have it ‘come to life,’ to once again have a form or body, which occupied a space, was of intense interest to Anne Bentley, MHS Curator of Art and Artifacts, and to me. 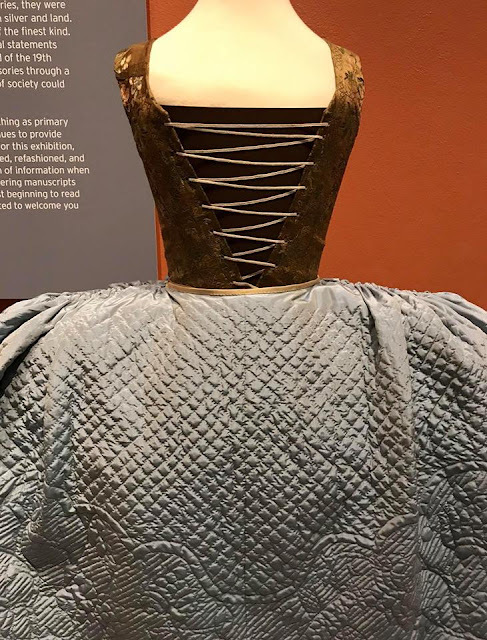 But this vision was only realized through the efforts of the Milliners and Mantua Makers, Historic Trades & Skills of Colonial Williamsburg at Colonial Williamsburg. Their reproduction is splendid. 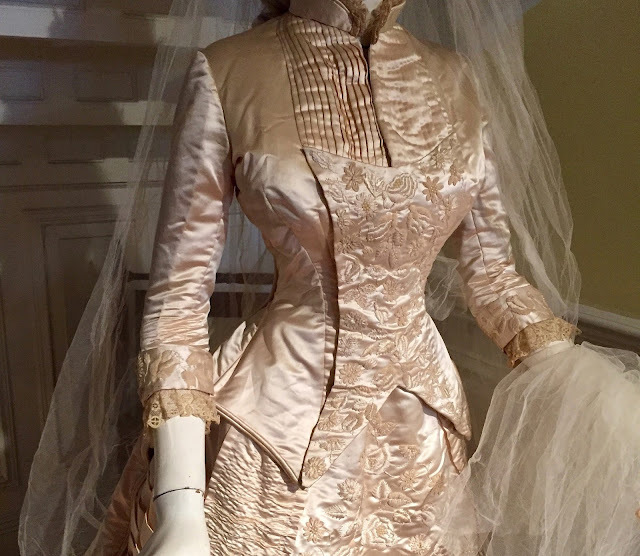 Two years in planning —the outcome exceeded expectations in every way, thanks to their dedication, talent, skill and in-depth knowledge, in combination with the talents of Schaeffer Arts Costume Exhibition & Care. (SchaefferArts.com) The petticoat is shown with mid-18th century brocaded stays, possibly Italian. 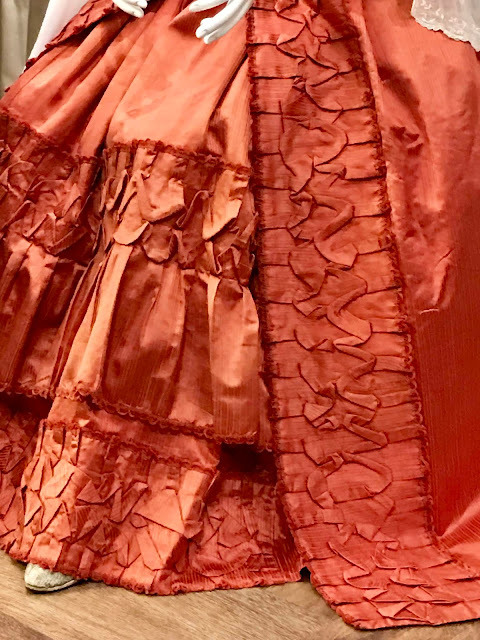 Like many stories connected to family relics, Mrs. Smith’s account of the original petticoat became problematic as we began to examine it in detail. The purported original owner, Hannah Hudson Leverett, died in 1643. How then can we explain the fact that, at present, the earliest documented extant petticoats with this type of quilted design dates from c1720s…more than seventy years after Hannah’s death? This is one of those mysteries that beg to be unraveled with further research, which is ongoing as of October 2018. 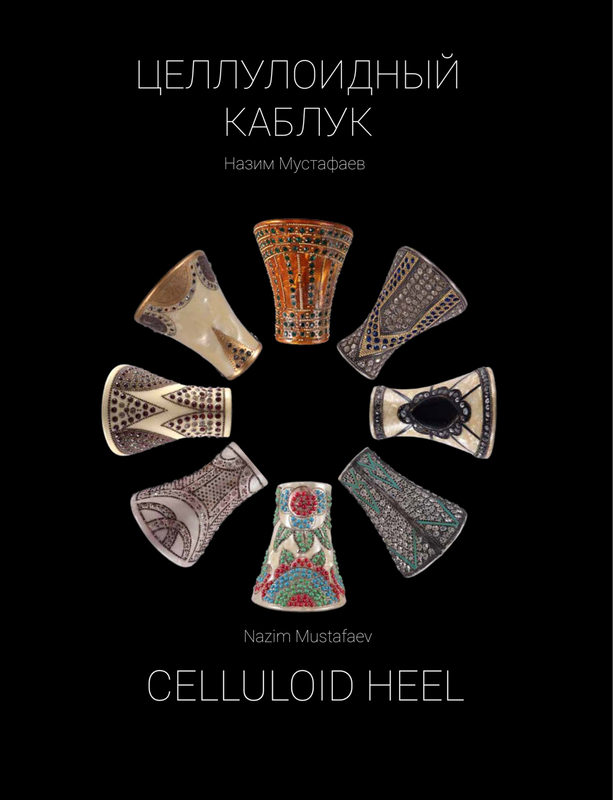 Celluloid Heels tells the captivating story of the first man-made plastic - celluloid and its use in footwear. 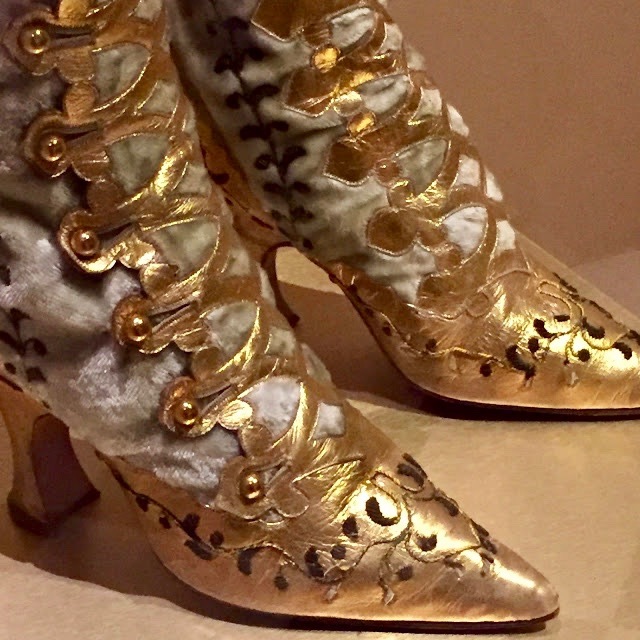 In the 1920s, wooden celluloid covered heels, decorated with rhinestones were in all the rage. Like the artistically designed celluloid heels discussed by Nazim Mustafaev, so too the book is a work of art in its own right. The author has thoroughly researched the topic and has such a clear concept and in-depth understanding of his subject, that the book is in perfect balance. 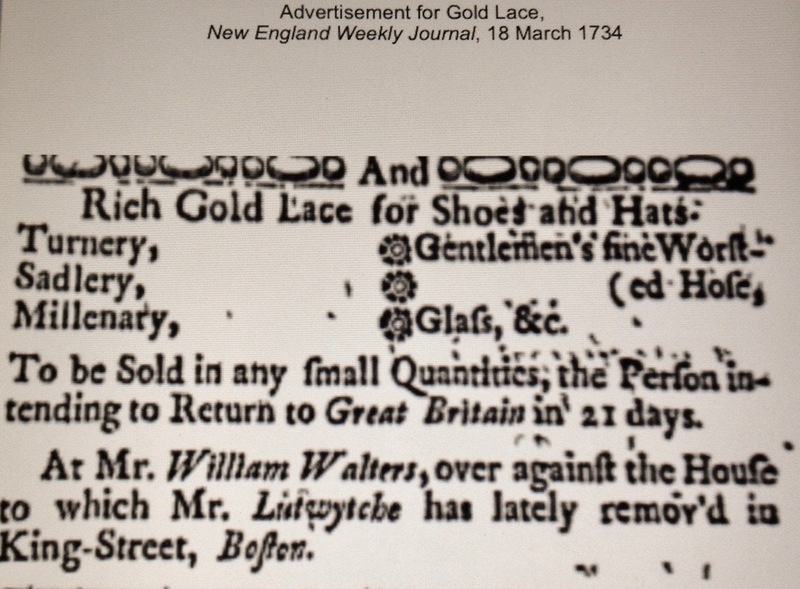 To remove even one element—the images of the shoe labels or the advertisements for example— would mar it in its entirety. From the informative and engaging text, to the high production values of the photography, to the carefully selected period photographs and ads— the word that strikes me is harmonious. It is harmonious from the front cover to the end pages. This is not only an ode to the celluloid heel but to the shoe, its technically advanced concept and to the stylish women who wore them. This is a must read and a must have. To purchase Celluloid Heels, e-mail: mail@shoe-icons.com. Although the wedding dress appears as a two piece ensemble of bodice and skirt, it is in fact constructed in one piece. 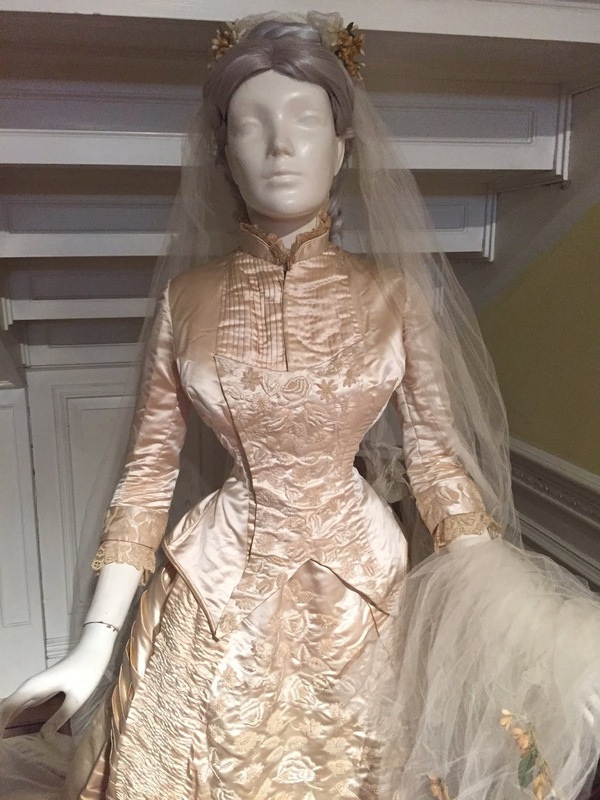 Worn on November 5th, 1879, the balance between pleated upper bodice, the high neck trimmed with lace, and the floral patterned silk skirt, embellished with beads and faux pearls, is dynamic. The silk, the details, and the quality of the dressmaking are excellent. The author thanks Rebecca Putnam and the members of the costume committee for their assistance. Not every Victorian is as dowdy as they might seem. Last year, at the Warner House in Portsmouth NH, we began to plan the exhibit for the next 2-year cycle and a larger curatorial re-assessment of the interior. The main exhibit will be Celebrations: Public and Private, but the other project was to recreate a c 1760 bedchamber, based on paint analysis and recorded wall hangings in Portsmouth—a city with a penchant for damask wallpaper in the 18thcentury. 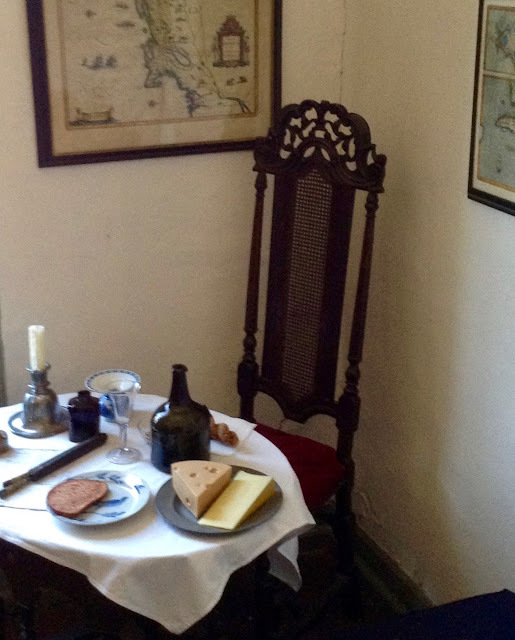 There has been no physical work done to this room since roughly 1932 when the house became a museum. Researching one aspect of a collection invariably leads to other parts of the collection. 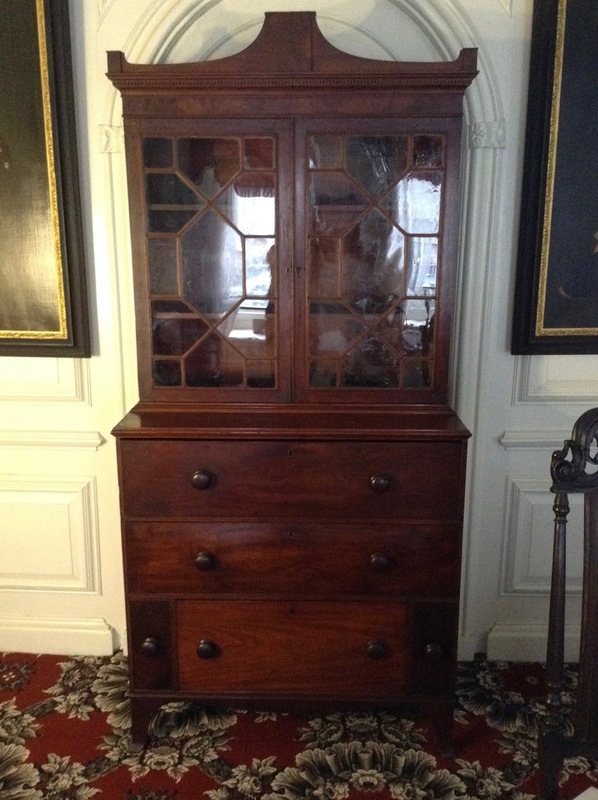 A case in point, no pun intended, was a large secretary/bookcase sitting in a Victorian bedchamber. It was a family piece that through descent was given to the museum. No matter where it was placed, it exuded a dark and foreboding presence. The glass doors reflected and absorbed light in large quantities and the base simply absorbed light. With its turned wooden handles it looked like a transitional piece from the 1830s or 40s. One of the handles was removed to see if there were any clues to surface discoloration or handle replacement. Sure enough, the exposed surface was lighter and there was a ring burn where a brass rosette once sat. All the handles were removed and the results were the same. Additionally an owner’s name was found in the correct script that placed it closer to the 1810-1820 period; this placed it in the house during the appropriate period for family that once owned it. 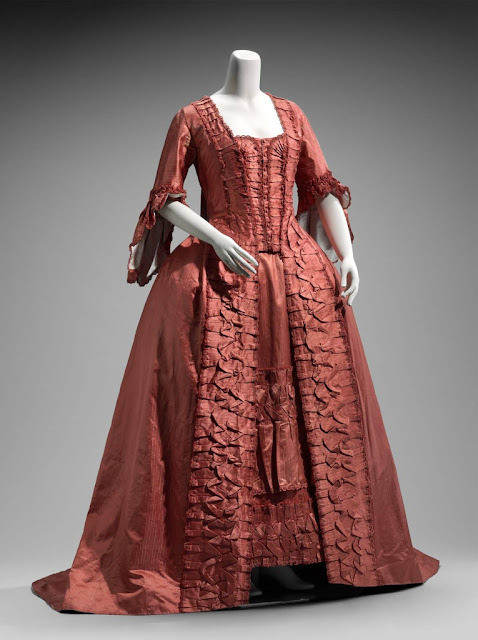 Furniture fashions change and the piece was improved at some point to reflect the sensibilities of the Victorian era. Through research new brasses were found, ordered and installed. 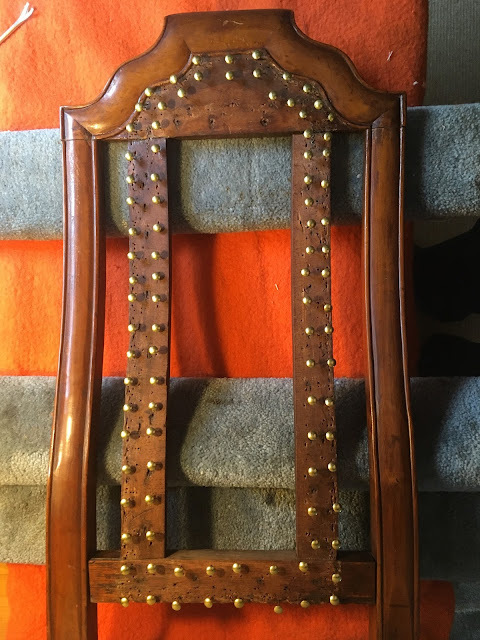 The case was lightly cleaned to remove old wax and dirt, which then revealed some of the lightly figured wood. Oddly a finial from the 1810-1820 period, that fit no other piece of furniture and had no known history, was found in the attic and the shaft fit the hole in the central pier of the upper case. (Serendipity? Perhaps.) The interior of the doors showed that they had been lined with fabric at one time. 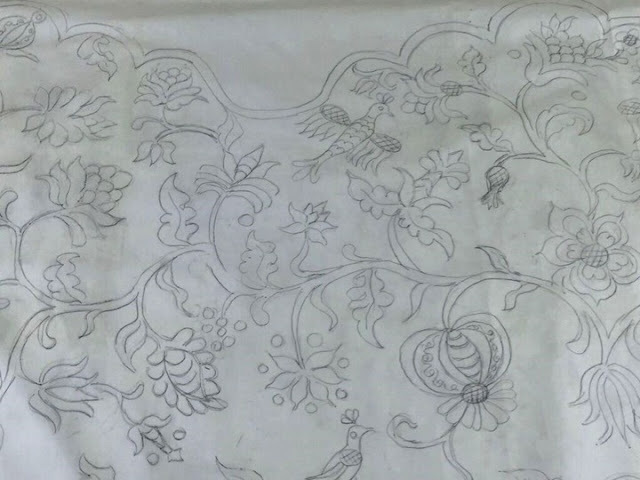 So new green taffeta silk lining curtains where made to complete the piece. 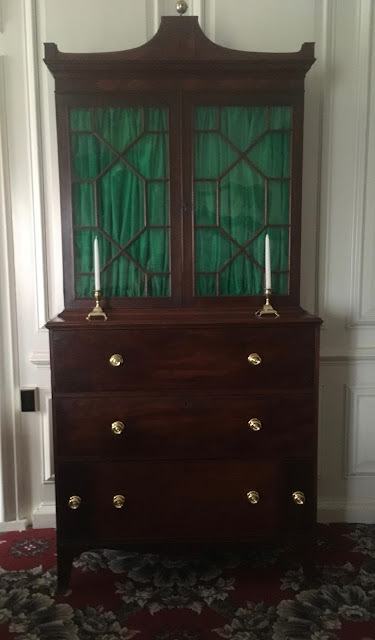 The new and old brasses return reflected light to the base and the pinnacle and act as a counterpoint to the glass doors, just as the green silk provides a complimentary color counterpoint to the reddish mahogany. 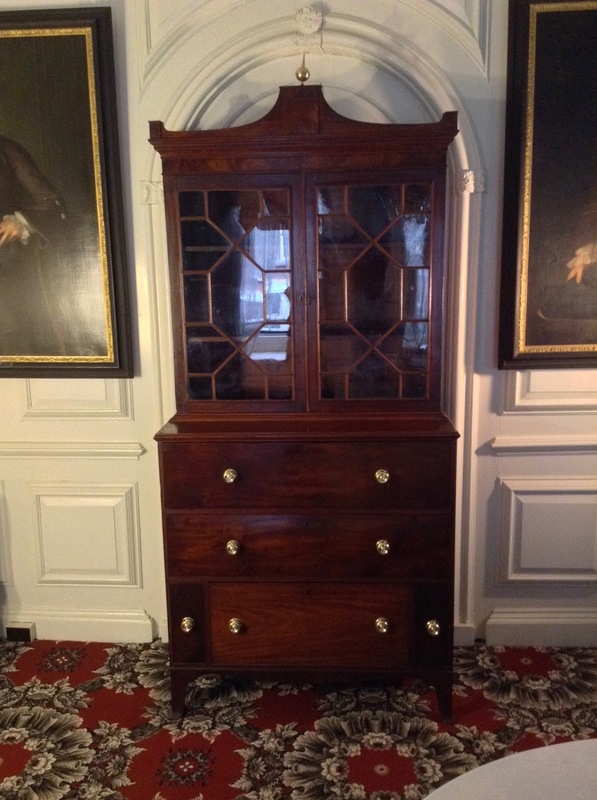 The secretary/bookcase will now sit in the downstairs parlor with several other pieces of early 19thcentury and be part of the post Lafayette dinner celebration for the 2-year exhibit. Johns Hopkins University Press, 2018. Shoes reveal the hopes, dreams, and disappointments of the early Americans who wore them. 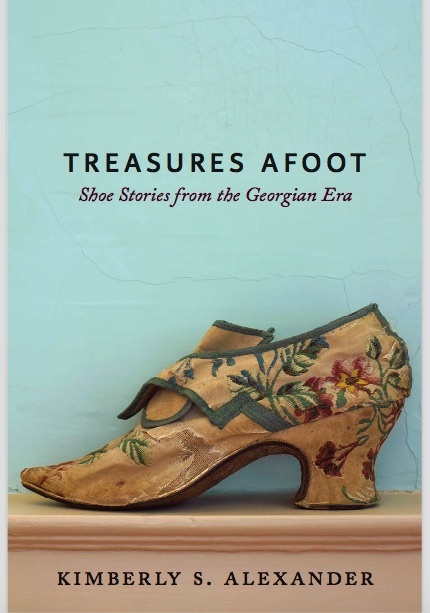 In Treasures Afoot, Kimberly S. Alexander introduces readers to the history of the Georgian shoe. 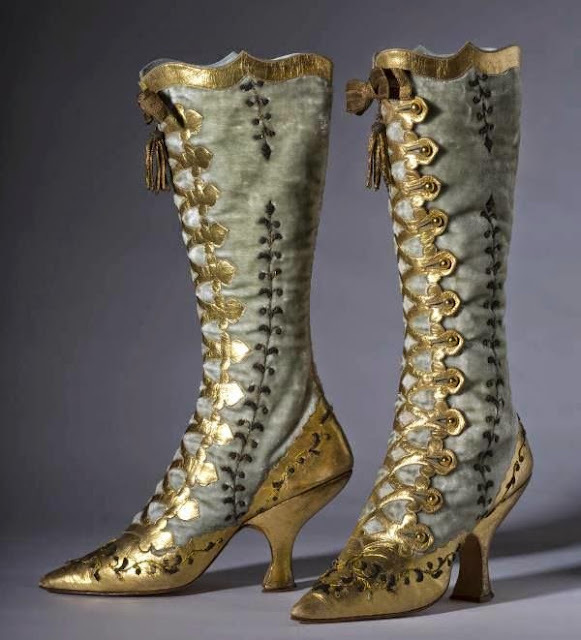 Presenting a series of stories that reveal how shoes were made, sold, and worn during the long eighteenth century, Alexander traces the fortunes and misfortunes of wearers as their footwear was altered to accommodate poor health, flagging finances, and changing styles. 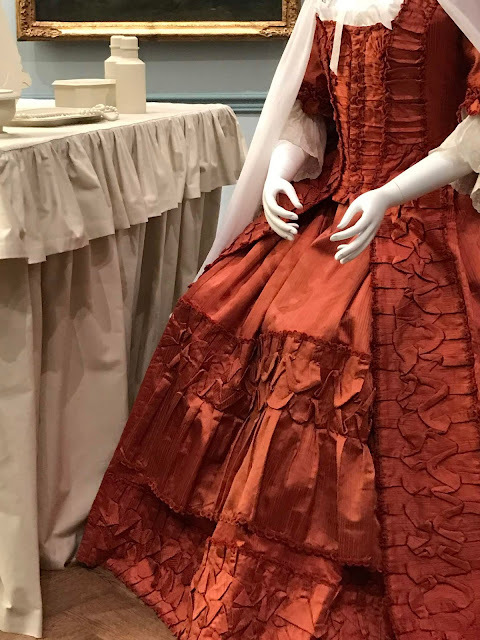 She explores the lives and letters of clever apprentices, skilled cordwainers, wealthy merchants, and elegant brides, taking readers on a journey from bustling London streets into ship cargo holds, New England shops, and, ultimately, to the homes of eager consumers. 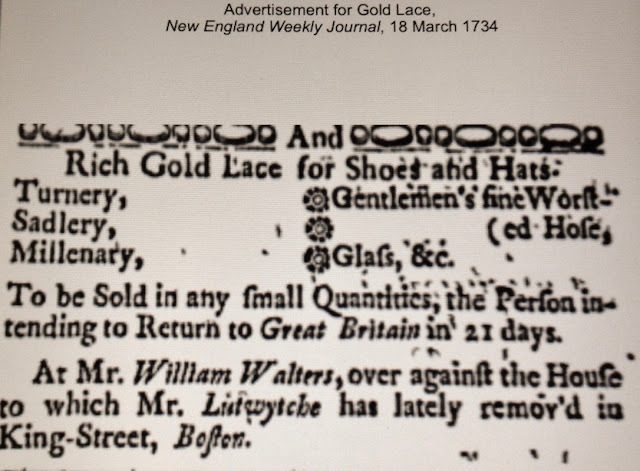 We trek to the rugged Maine frontier in the 1740s, where an aspiring lady promenades in her London-made silk brocade pumps; sail to London in 1765 to listen in as Benjamin Franklin and John Hose caution Parliament on the catastrophic effects of British taxes on the shoe trade; move to Philadelphia in 1775 as John Hancock presides over the Second Continental Congress while still finding time to order shoes and stockings for his fiancée’s trousseau; and travel to Portsmouth, New Hampshire, in 1789 to peer in on Sally Brewster Gerrish as she accompanies President George Washington to a dance wearing her brocaded silk shoes. 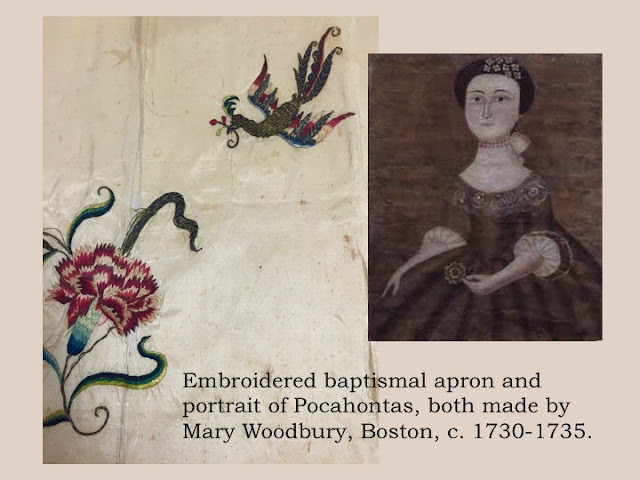 Interweaving biography and material culture with full-color photographs, Treasures Afoot raises a number of fresh questions about everyday life in early America: What did eighteenth-century British Americans value? How did they present themselves? 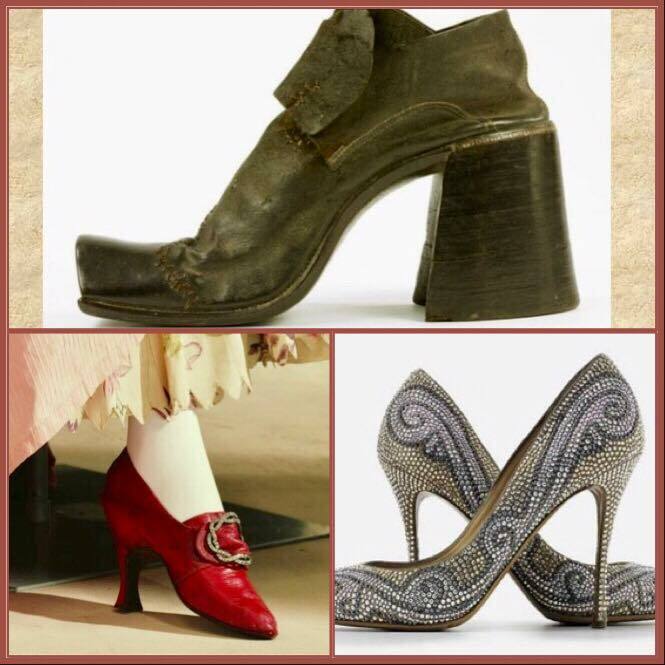 And how did these fashionable shoes reveal their hopes and dreams? Examining shoes that have been preserved in local, regional, and national collections, this book demonstrates how footwear captures an important moment in American history while revealing a burgeoning American identity. Historian Kimberly S. Alexander, a former curator at the MIT Museum, the Peabody Essex Museum, and Strawbery Banke, teaches material culture and museum studies at the University of New Hampshire.